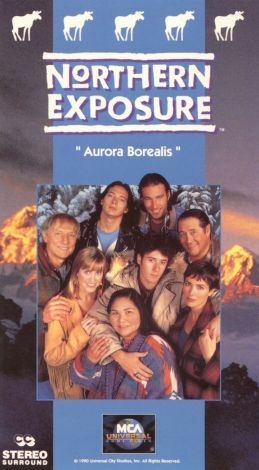 Strange things always happen in Cicely during the Aurora Borealis, and those "things" are even stranger in this final episode of Northern Exposure's first season. Lost in the woods, Joel (Rob Morrow) is rescued by a legendary sasquatch-like creature named Adam -- who turns out to be a human being, a sociopath, and a damned good gourmet cook. Elsewhere, Chris gives up his radio job to construct a towering sculpture and along the way forms a symbiotic relationship with an African-American stranger named Bernard (Richard Cummings Jr.), who has motorcycled into Cicely on a mission...and who is no stranger after all.